A good point of reference is the city of Pucon on the shore of Lago Villarrica. From Pucon, drive west towards the town of Villarrica. As you leave town, you drive through a traffic circle, shortly after this, a well signed road forks left. 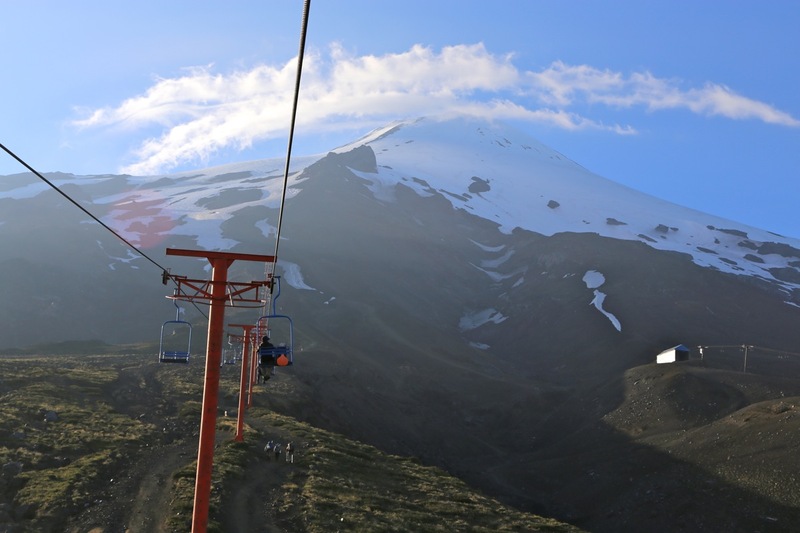 Take this road and follow signs for the Villarrica ski area / Volcan Villarrica. The road will climb with many turns and end at a large parking area at the base of the ski area. Thia location is S39.39173, E071.96008, elevation about 1430 meter. You need a permit to climb this peak. The permit is obtained from the local Conaf office, located on the right hand side of the road immediately after the pavement ends. The official policy states that you must be a member of an Alpine club and you must show the Conaf people that you have the required equipment to climb the peak. 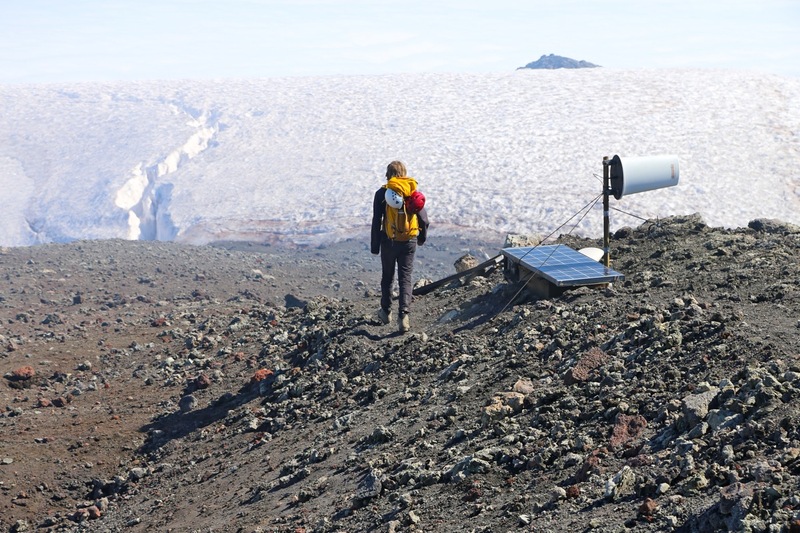 In practice, the equipment you must be able to show are crampons, ice axe and a climbing helmet. When all is found to be in good order, you pay 4000 peso per person. The Conaf has established a check point near the top of the ski lift, they will check your permit and equipment once more. Note: On March 3rd. 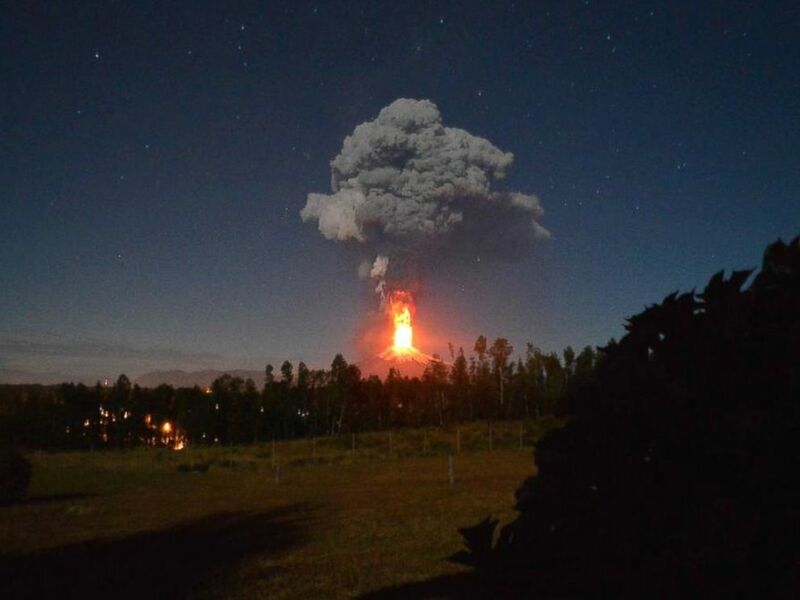 2015, about 5 weeks after my ascent, Villarrica started a violent and spectacular eruption. This event may substantially affect the description below. 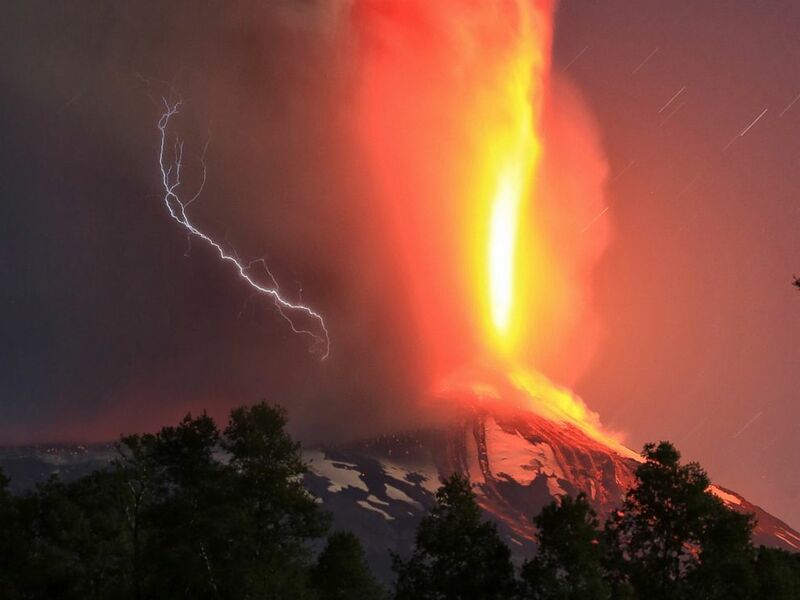 Currently, this volcano is obviously impossible to climb. From the ski area parking, head left (when facing uphill), across to the skilift that starts out from a small hill across from a small ravine. One may take the lift (operates every morning), or hike uphill, basically along the top of a moraine, to the top station of this lift. 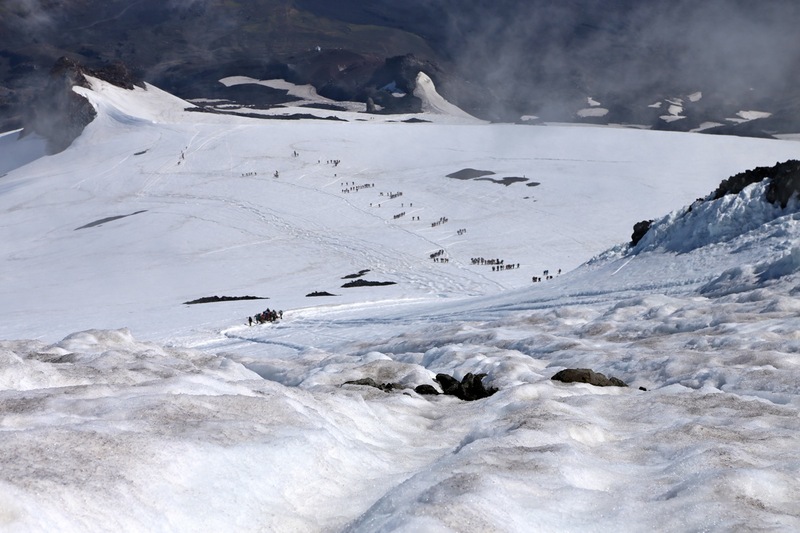 From the top station, the route traverses left, then one can get onto snow and ascend uphill. The snow slope is moderate, one will see a somewhat steeper section higher up. This is not as steep as it looks, normally a clear track traverses up and across this short section. Next, a slightly more gentle slope connects to the final slope. 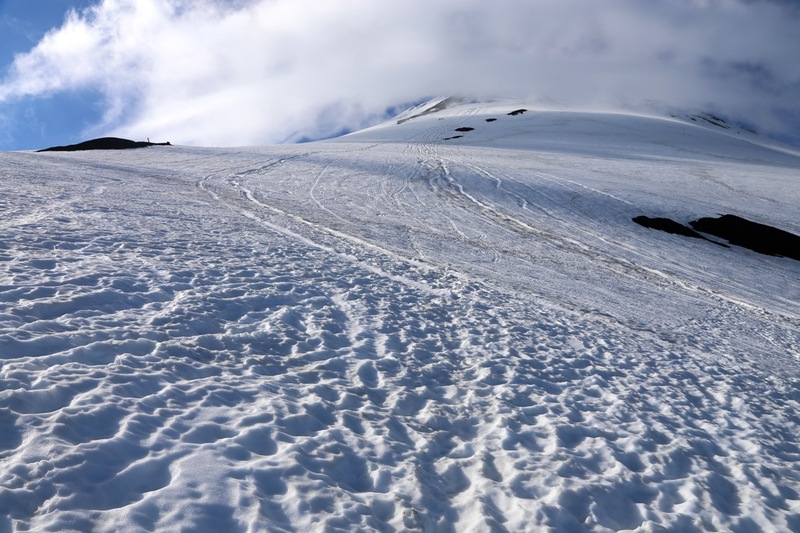 The final ascent consists of two somewhat steeper slopes with a short, more gentle slope in between. Overall, the slope is mostly between 30 and 35 degrees. Higher up, the route stays on snow, but rocks are visible nearby as the route angles a bit left. 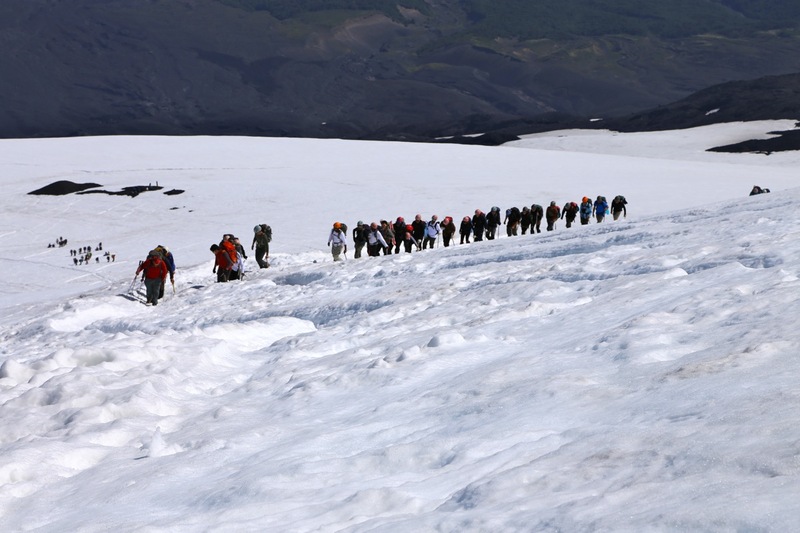 The slope eases as you reach the crater rim, consisting of snow in this area. 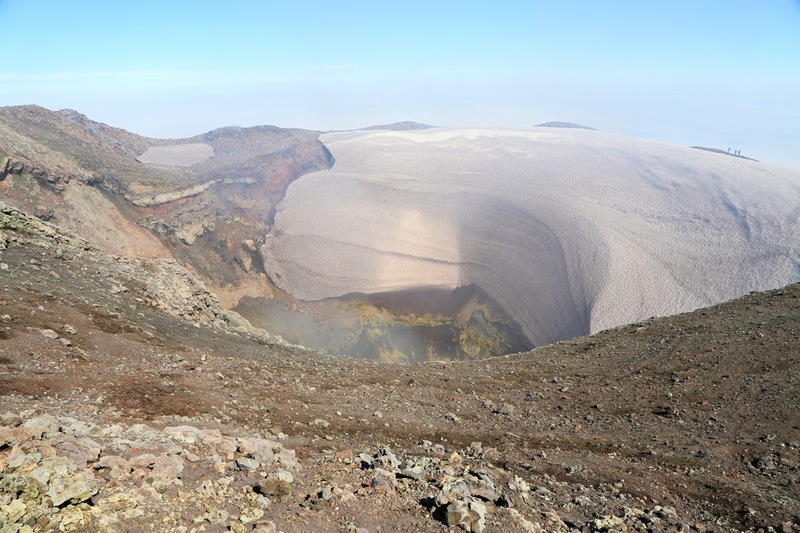 You immediately see the highest point more or less across the crater. Turn left and follow the snow until it ends. From here, a pretty obvious route, following the crater rim which is easy to follow, leads to a fairly distinct rocky highest point. I woke up to light rain outside my hotel room window. Looking out, a grey sky everywhere and a bit of rain. This did not look good, but I had a vague feeling that this weather was a result of the previous very hot days and that the clouds might be pretty low. We decided to drive up to the Conaf office and at least secure our climbing permit for the next day, unless conditions would allow an ascent already today. As it turned out, the report frpm the ski-center was indeed positive. 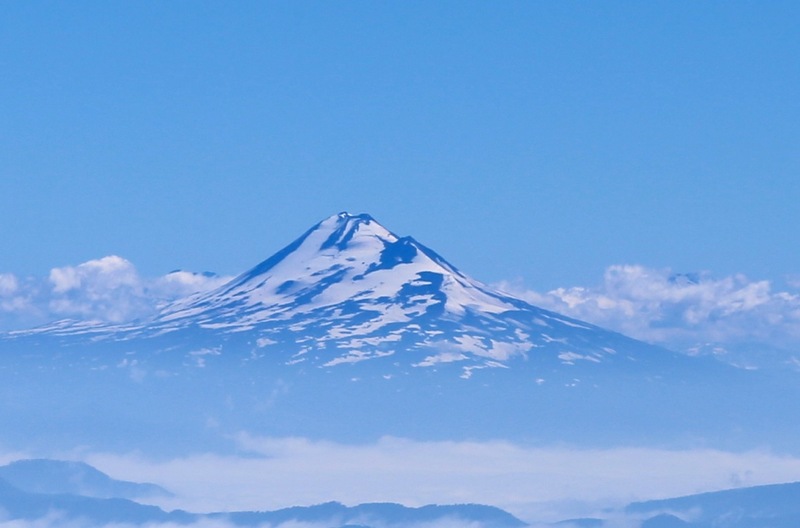 The clouds were lower than the base of the center, blue sky and good weather on Villarrica. Next followed a session with the Conaf people. They wanted to see our alpine club membership cards, we showed them our DNT cards and they were happy. 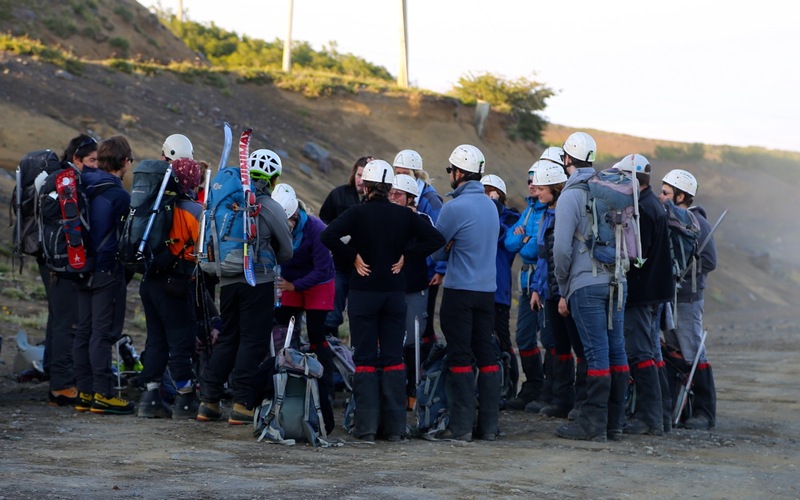 Next, a look at equipment, the crampons, ice axe and helmet seem to be the key points to check off. We paid 4000 each for the permits and continued uphill to the ski center. Big activity! Several large groups with guides were preparing for departure. All dressed up in fancy mountain gear, all wearing colorful climbing helmets. We let our helmets remain in the backpack, then headed over to the chairlift. 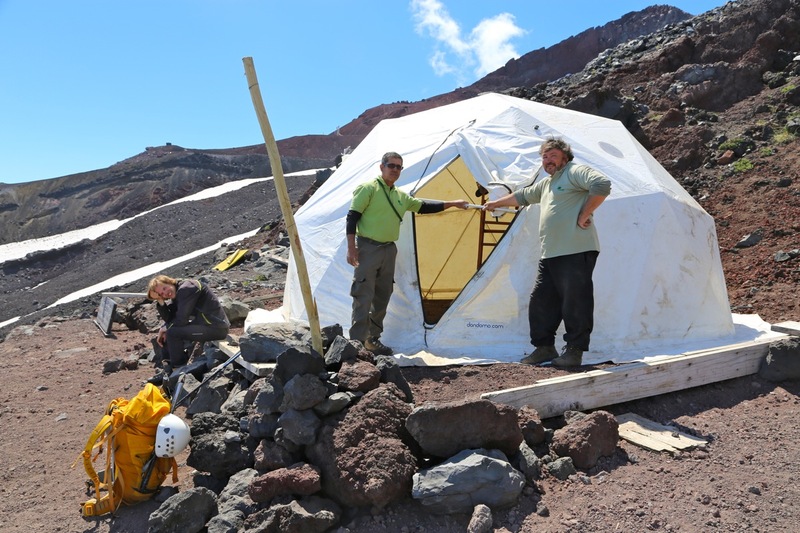 An easy ride up to the top station where more Conaf people had established a "high-camp", for final equipment check. We started walking from the top station of the lift at 0840. Pål Jørgen had already observed that one could stay on snow for the entire ascent, thus we put on crampons and (unlike all other parties) did this climb as a pure snow-ascent. We were off at 0840, quickly passing several guided groups. At the higher slopes, only a group of 4 Germans were ahead. 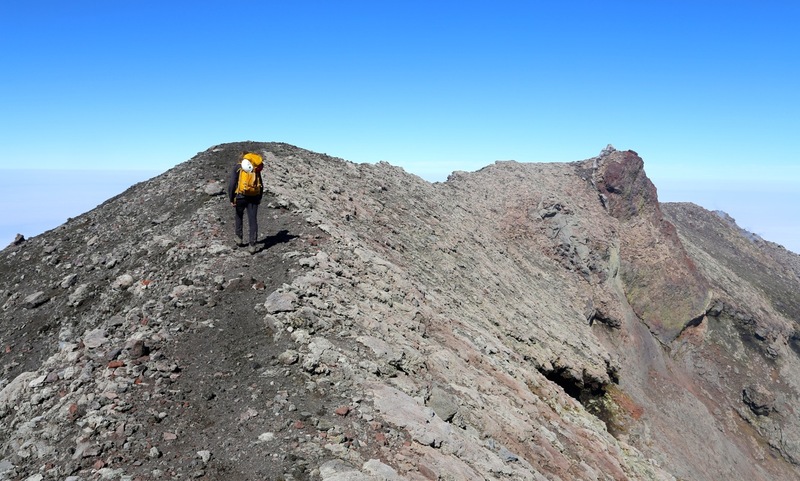 They rested at the crater rim as we passed, then walked the short crater rim towards our left, in order to reach the highest point. We arrived on top at 1040, so 2 hours from the starting location. Good views, the crater is quite deep and one can see and smell the sulphur gas that comes out at a fairly steady pace. Since clouds covered the land, the views and impressions were different. 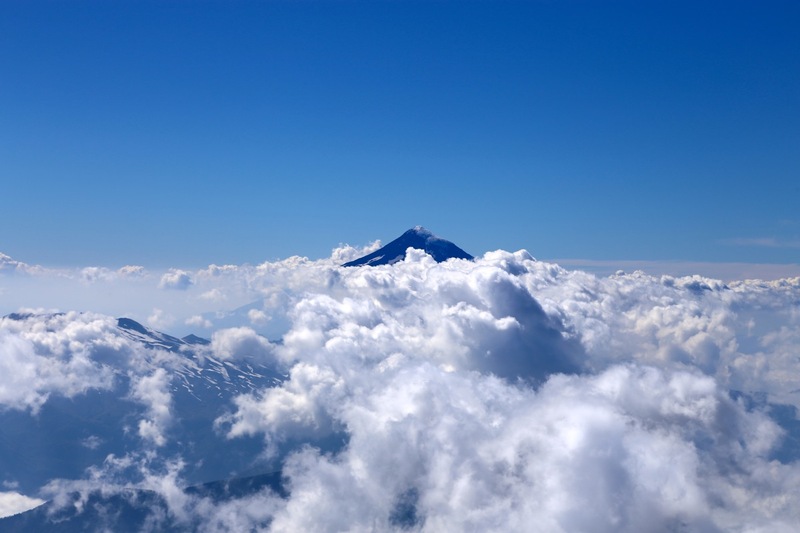 The feeling of being quite high up is perhaps stronger when you look down on a complete blanket of clouds, while the sun and blue sky is all around and above you. 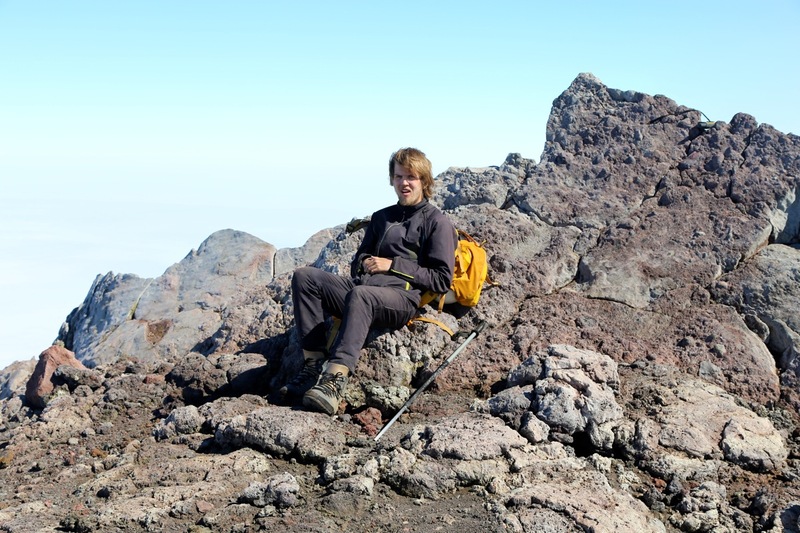 We stayed at the summit until 1100, then started our descent. As it looked, we were the first party to reach the summit today. A very large number of guided parties could be seen below. 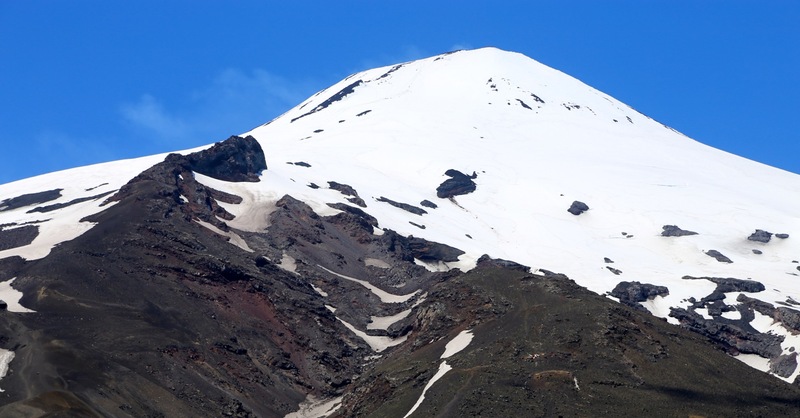 We estimated that at least 200 people would climb this peak today. Our descent was quite easy, we basically walked directly downslope avoiding all the teams that were slowly moving uphill. We were back by the Conaf tent in one hour, a 15 minute break while putting away the crampons and preparing for warmer conditions. Next, we continued along the trail going down the moraine to the parking. This last part of the descent took 25 minutes. We organized our gear in the car and decided to drive back to the town of Villarrica for lunch. Subsequently, we continued to the small town of Panguipulli in order to attempt the volcan El Mocho the next morning. 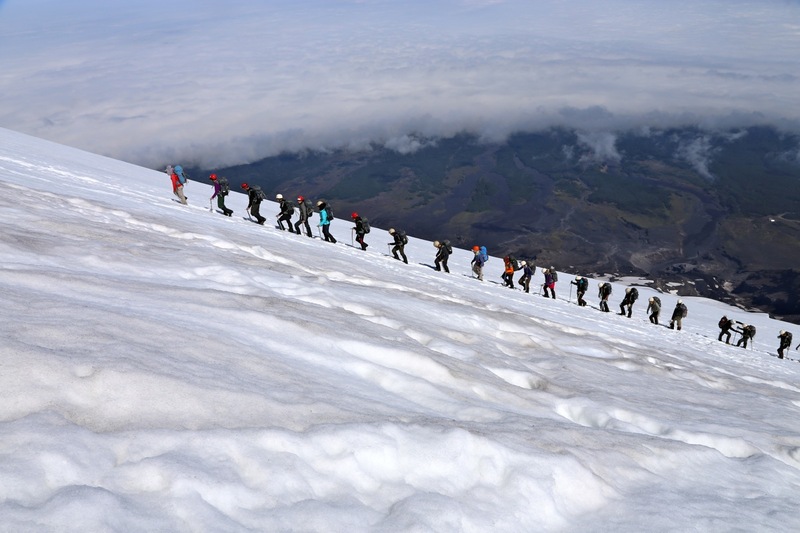 Volcan Villarrica, a very popular peak that can be climbed by many. 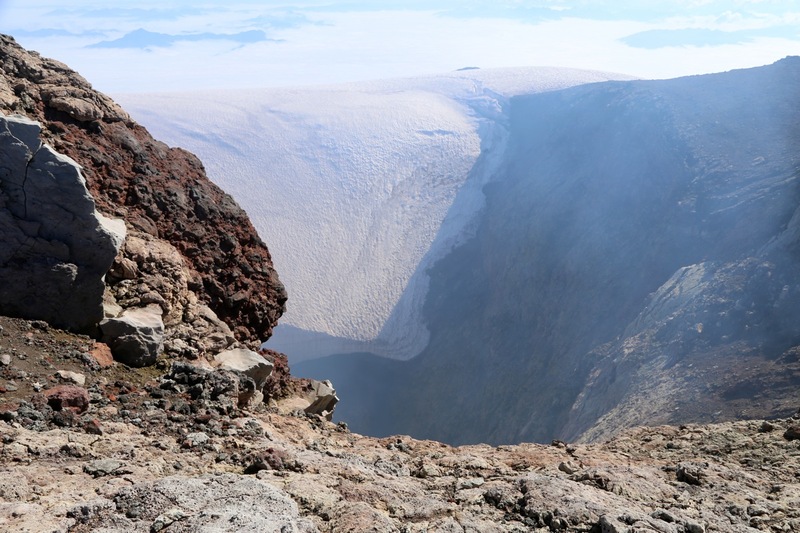 Volcan Llaima, yesterdays climb as seen from Villarrica.